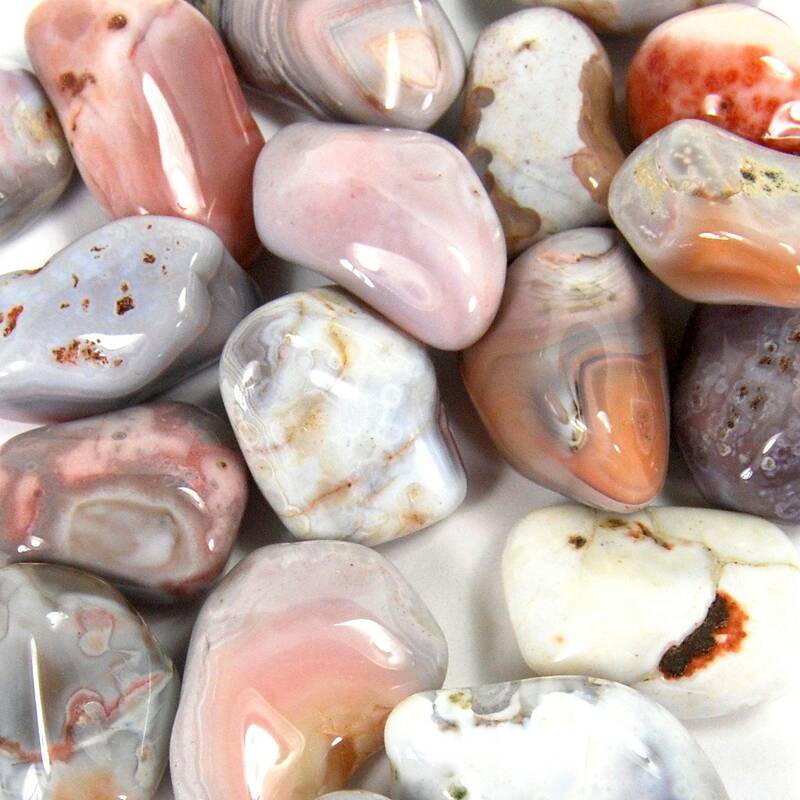 Natural medium Pink Botswana Agate tumbled stones. These pieces measure .75 to 1.25 inches. 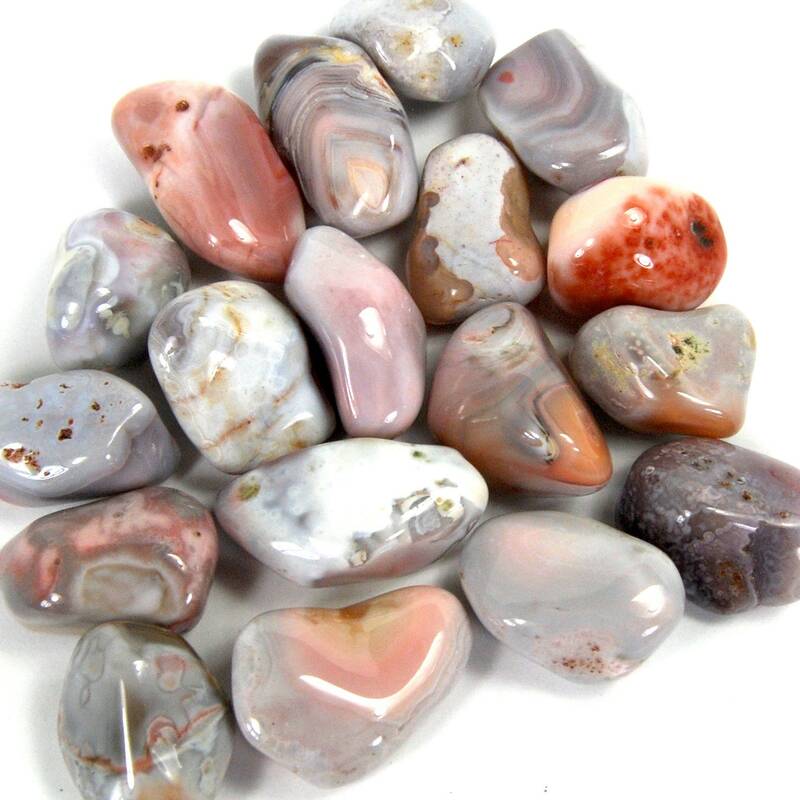 A stone to help one focus on solutions. 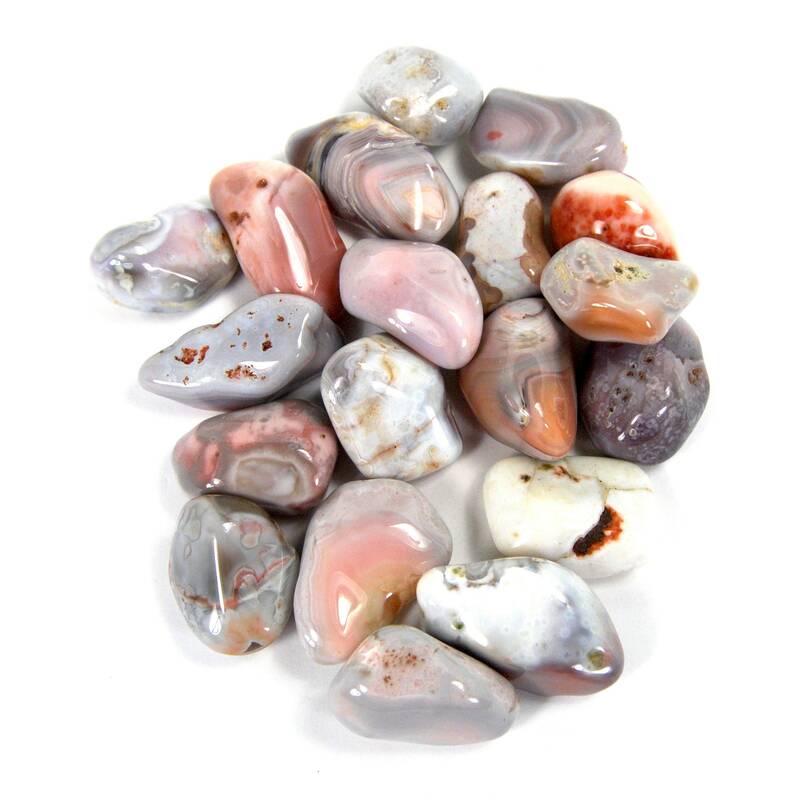 Also known as the "Eye Agate", this sone works on two levels; it protects one from the evil eye, and also from internal troubles such as over-sensitivity, addictions, and compulsive patterns. It brings balance and emotional comfort, and helps to focus on solutions.